1.) 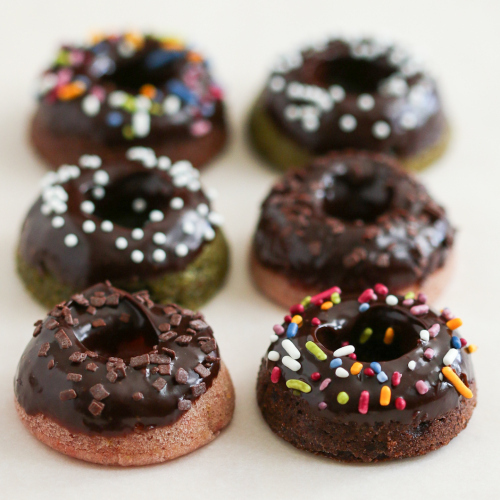 Preheat oven to 350 degrees F. Generously spray the mini doughnut pans with non-stick oil spray. Using wire whisk, mix sweet rice flour, milk, sugar, vanilla, and baking powder together in a large bowl and mix evenly.